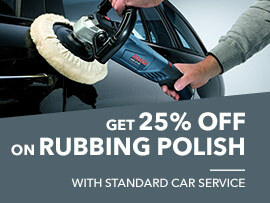 Great Savings | Great Offers.. Save up to 40% with our featured offers !! 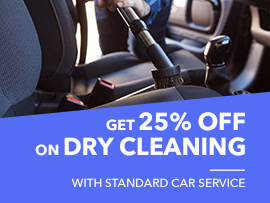 Choose from variety of car cleaning services such as Car Wash, Rubbing Polishing, Car Dry Clean & Teflon Coating, so your car shines like brand new. Brakes, Suspension, transmission, clutch or engine repair. Gaadizo provides repair services for every mechanical, electrical or technical issues of your car. 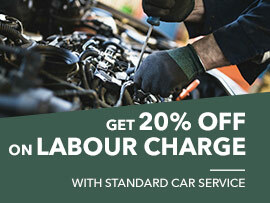 With our best in market pricings you can save upto 40% on all car services & repairs. No more hidden charges & taxes. With our fixed price costings what you see is what you pay. 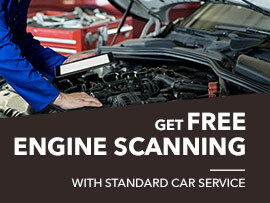 With our Extensive 50 Point Inspection procedure,Get a full report of your car's health & condition. Our services comes with free pick & drop facility so book from comfort of your home or office & leave everything on us. Customer satisfaction is what we seek, Always get a 30 Day warranty on our car service & repair packages. Get the live status updates on your car's service progress through our website and app. I got my Audi A4 serviced from Gaadizo, at first I was a bit sceptical about quality but was quite impressed with their way of handling everything. The service was done in just 12000 Rs only which is nearly half of cost given by Audi service centre. My swift had some dents & scratches on front bumper. Maruti service station gave me an estimate of 5K & surprisingly Gaadizo repaired my car in just Rs 2200, very good job Gaadizo,you have got one more happy customer. My car had some electrical issue, the service executive came at my place to examine the car and I was very surprised when the price quoted by him was much lesser than the estimate given by Honda service station. I am very happy with the work done on my car, thank you Gaadizo. They were really helpful and completed full servicing of my car in less than 90 minutes. The service station mechanic was explaining each and every thing. It helped me a lot and saved a lot of time instead of going to authorised service centre. I think they are one of the best service station in Delhi, I was amazed at their work quality. Got my Verna serviced in 2500 Rs only also I got a free car wash for my car, going to avail that soon.